Irresistible Groove is a highly awarded, critically acclaimed live event band who has been featured in weddings in Martha Stewart Weddings Magazine, Southern Bride Magazine, The Knot Weddings Magazine, Town and Country Weddings Magazine, and many more. 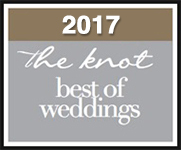 Our live wedding band has been the winner of the coveted The Knot’s “Best Of” multiple times, as well as the winner of Wedding Wire’s “Bride and Couples Choice” for five years running! 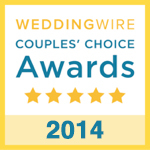 These awards are reserved for the industry’s top five percent. Over a decade of success has made Irresistible Groove one of the most in-demand party bands in the nation. Our band has everything you could want for your event including a horn section, six vocalists, full rhythm section and the largest most diverse song list of any band in the Raleigh area — and the country. 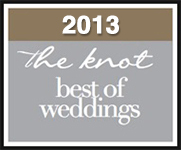 Add all of this to our stellar reputation and happy client reviews and you can understand why Irresistible Groove is the most sought-after live wedding band in North Carolina. Hire our band and you can rest assured that you will have yourself a party! Now Booking for 2019Prime Dates Filling Fast - Don't Wait! making memories. not just music. A Magical Evening with Americas Favorite Party Band ! "Irresistible Groove raised the roof on our wedding. It's been a month and I am still getting compliments on the band. They were easy to work with and played a great variety of music. They even learned our first dance song without telling us! It was all quite impressive. The band played soft jazz during dinner and then turned up the funk afterwards. It was an amazing time. We had a blast!"